Fees associated with filing trademark applications in Denmark, as well as other trademark fees, are available in the fee calculator. Multiple-class trademark applications are possible in Denmark. - name and address of the agent as well as a Power of Attorney. An original of Power of Attorney should be provided at the time of filing a trademark application in Denmark. Submission of the priority document is not required when filing a trademark application in Denmark; however, information about the priority application should be provided. The oppositions against trademark registration in Denmark must be filed within two months from publication of the application. The opposition procedure takes place before the registration. No official grant fee is stipulated. As from January 1, 2019, trademarks in Denmark are valid for ten years from the filing date and may be renewed for ten-year periods. The 10-year validity term of the trademarks registered before January 1, 2019, is still counted from the registration date. The request for renewal shall be effected by payment of the prescribed fee to the Patent and Trademark Office within six months before the expiry of the registration period or within a six-month grace period. Trademark in Denmark may be cancelled based on non-use if it has not been used within five years from the termination of the registration procedure. For foreigners, it is necessary to perform the patent prosecution in Denmark through a local agent, a registered Danish trademark attorney. 1. Online Search Databases: Danish Trademarks, EU Trademarks, International Trademarks. 2. 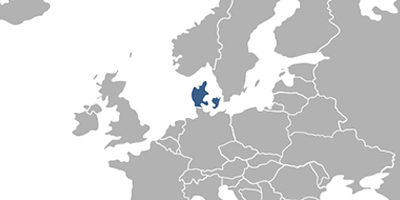 The Trademark protection in Denmark may also be obtained via European Union Trademark registration.